When The Matrix was released in 1999, it was a true cultural phenomenon. It catapulted the Wachowski siblings into super-stardom, reinvigorated Keanu Reeves’ career, and changed the world of special effects. Not only that, but the film walked away with four Oscars that year. The Matrix is a masterpiece of science fiction that has not been equaled in the past two decades. Then, The Matrix sequels were released in 2003 and disappointed the entire world. Whereas the first film is full of rich, universe building and character development, the sequels arrived as overblown, under-cooked messes. The Matrix Reloaded is decent enough, but it built up such lofty ideas that Matrix Revolutions had no hope of reconciling. Still, as a whole, The Matrix franchise is unique and visually astonishing, weaknesses and all. 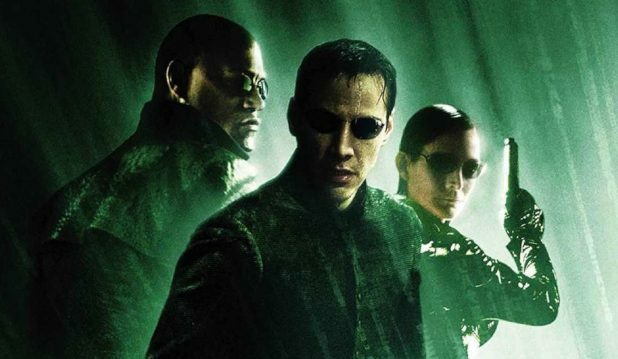 Here are ten reasons The Matrix sequels are worthwhile. The Matrix sequels have many, many fights in them. The Matrix Reloaded really hit the ground running. Early on in the film, Neo has a mesmerizing fight with Seraph, on his way to see the Oracle. After a bit of philosophical mumbo-jumbo, Agent Smith arrives in the park to confront Neo. What follows dropped the jaws of every Matrix fan out there. 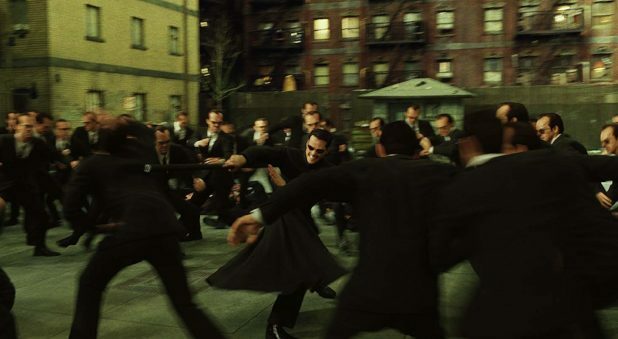 Dozens upon dozens of Agent Smiths come pouring into the park and Neo fights them all off. The scene is a marvel of special effects, choreography, and design. Sure, some of the high-flying CGI is a bit wonky, but this was back in 2003, and it was astonishing back then. Sure, the weird slow-motion mosh-pit is a bit ridiculous, but the realization and design of Zion is pretty wonderful. In full contrast to the greenish, goth, technical world inside the matrix, Zion is full of harsh blues and overall dreariness. These residents are free, and that means they have a hard life unplugged. A highlight is the council meeting whereby we see how the hierarchy operates. Also, Neo has a great discussion with Counsellor Hamann. They talk about sleep and their power over the machines that power ZIon. It really shows that there is more to the war with the machines than just Neo, Morpheus, and Trinity. There is a whole society out there looking for an end to the conflict. 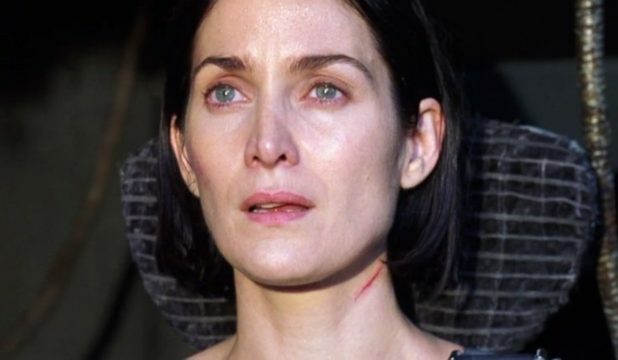 In the later scenes of Matrix Revolutions, a blinded Neo and Trinity have taken a ship and are headed to the Machine City. On their way there, of course, they are met with a lot of resistance. Neo can only do so much in his weakened state to fend off the enormous machine army. So, he suggests to Trinity that they go up over the scorched cloud cover. When they burst through the layer of cloud and storms, they emerge into a gorgeous sky. Trinity, having never seen such a sight, says it all with her eyes and her face. 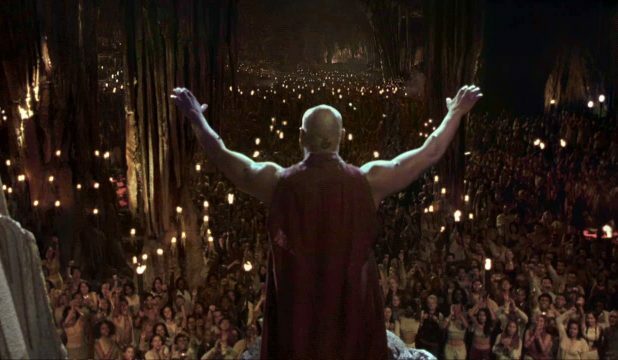 It is a real moment of beauty and hope; one of the most powerful in The Matrix sequels. It really prepares us for that final confrontation filled with violence and death. There is a moment toward the end of The Matrix Reloaded where Agent Smith, within the Matrix, copies himself into Bane. Once Bane is awakened in Matrix Revolutions, he is obviously Bane’s body with Agent Smith’s mind. The way actor Ian Bliss PERFECTLY emulates Hugo Weaving for these scenes are absolutely outstanding. Every word, every tone, every gesture is absolutely Weaving. It simultaneously becomes hysterically funny and infinitely creepy. One of the best performances in The Matrix sequels. Lambert Wilson’s performance as the Merovingian is an absolute delight. Luckily we get to see him in both of The Matrix sequels. Audiences first meet him when the Oracle sends Neo to him in order to try and find the Keymaker. The Keymaker is integral into getting Neo to the source of the Matrix. The Merovingian however, drunk on power, toys with Neo, Trinity, and Morpheus. His wife, Persephone, hell-bent on vengeance for her husband’s infidelity, shows the trio to where the Keymaker resides. 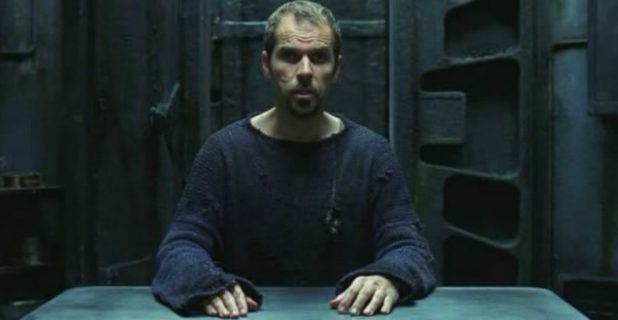 In Matrix Revolutions, Neo finds himself in a kind of infinite loop program controlled by the enigmatic Trainman. When we find out the Trainman works for the Merovingian, as an audience, we got all giddy with the promise of seeing Wilson’s slimy Frenchman again. When the sentinels break the outer defenses and have a full-blown invasion blitz into Zion, it is quite ridiculous. There is so much mayhem, and so many bullets, it is like an emotionless video game. On the other side of the world, Neo is in the midst of striking a deal of peace with the machines if he can stop Agent Smith. Once the deal is struck, the sentinels abruptly stop attacking and begin circling Zion without attacking. It is quite an eerie, emotional visual. Certain death is hovering over the heads of Zion’s inhabitants. It really shows that this is the endgame, and Neo has to succeed, or all is lost. Their first big battle began in the subway station during the original The Matrix. Then they met again in the amazing courtyard, multiple-Agent Smith battle. So, when the two most powerful beings in the Matrix sequels square off during the finale of Matrix Revolutions, it had to be epic. It definitely does not disappoint. There is a seemingly infinite number of Smiths looking on, but Neo only faces one. In the pouring rain, their fight starts off as the patented martial arts throw-down that we have come to expect from the franchise. Then the film ups the ante by showing these beings as the supermen they are. They take flight, fighting and floating through the storm clouds. However, it all comes to a destructive climax when the titans crash into the city street and it all astonishingly erupts. Reasons and conclusions may have been unclear and vague, but action wise, the scene is breathtaking. The scene where Neo meets the architect is the fulcrum by which The Matrix sequels would have succeeded or failed. Unfortunately, it let us down. Still, do you remember when you first saw that scene and all hope was not yet lost? With the soothing baritone of Helmut Bakaitis, it was a nerve-wracking delight to watch such an enigmatic character discuss Neo’s purpose and fate. It was here that we learned that Neo was an eventuality, and “The One”, Zion, and the Matrix are all part of a cyclical system of control. It was mysterious and exciting, and it filled us all with anticipation that it would all pay off in the third movie. The fact that it only left a slew of unanswered questions doesn’t take away from the original feeling from watching the Architect scene. Neo, Trinity, and Morpheus have obtained the Keymaker and are plotting their escape. However, the Merovingian and his henchmen cut them off in the Chateau. 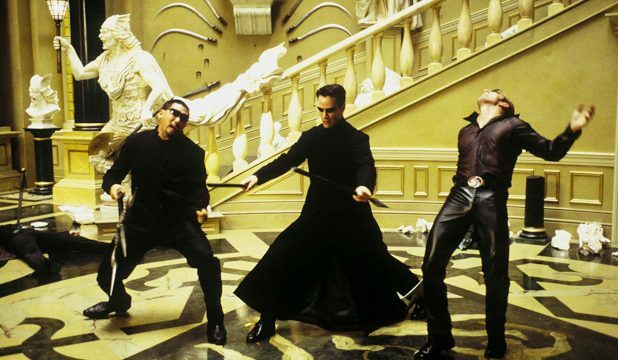 Neo expressed that he will hold them off and tells Trinity and Morpheus to get the Keymaker to safety. What follows is a wonderful ballet full or martial arts and medieval weapons The programs Neo is fighting are not mere agents. They are the Merovingian’s men, so they are certainly more dangerous. However, from the first multiple-bullet stop to the “oh sh*t” realization he has been marooned up in the mountains, it is a superb set piece. 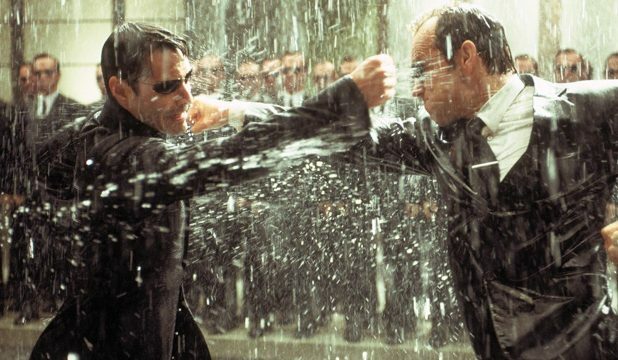 As amazing as the original The Matrix is, the best action sequence in the series belongs to The Matrix Reloaded. Once Morpheus and Trinity get their hands on the Keymaker, they are pursued by several agents and the two albino, dread-locked ghosts. What occurs is one of the most heart-racing, ridiculously edited, and exhilarating action set pieces of all time. Trinity weaves her way dangerously through high-speed traffic. 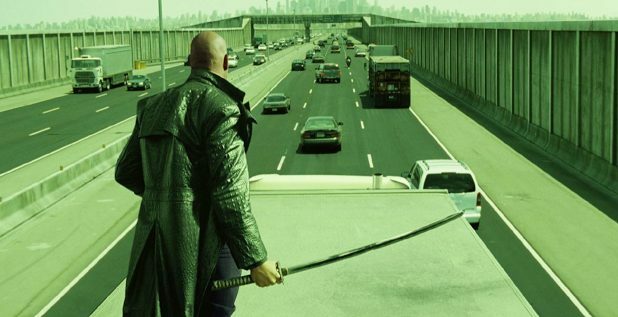 Morpheus faces an SUV head-on with a samurai sword. However, when Morpheus takes on agents atop a tractor-trailer, the Wachowskis really outdo themselves. When Neo arrives at the last moment to save Morpheus and the Keymaker, LInk’s reaction simply says it all.